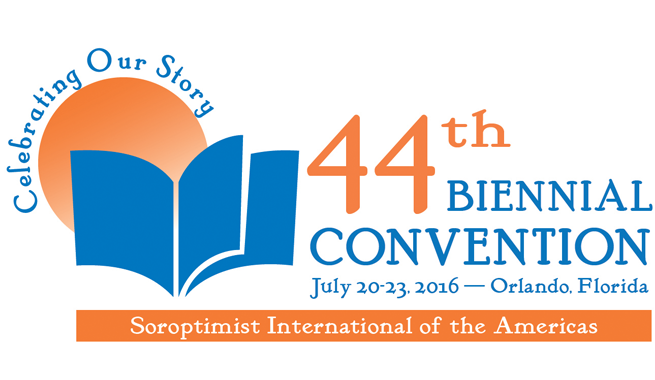 As Soroptimist approaches its 100th birthday in 2021, we are working to define our next century. Thank you to all the clubs that participated in our first big goal exercise and survey. More than 600 SIA clubs contributed their thoughts! Be sure to participate in the next opportunity to help define our organization’s future. Check out Your Club’s Next Opportunity here. Also, be sure to read the 2015 Club Exercise Results. See what’s happening this year in Orlando! Hands on service project with Days for Girls—Help assemble feminine hygiene kits to keep girls in school. First Time Attendees orientation on July 20th—If this is your first convention this session is for you! “Welcoming Friends” opening session on July 20 at 5:00 p.m. MemberSHIP campaign, membership award and Live Your Dream Award presented in the general sessions. Free time on Saturday afternoon to visit Disney. All this, plus everything you need to register, reserve your hotel room and plan your trip is on the SIA Convention page. See you in July! P.S. Don’t forget to check your mailbox in the coming weeks. SIA will mail the call to convention to all clubs on April 8! Thank you to everyone who voted and participated in this year’s art contest! The artwork received more than 6,000 combined likes on the Soroptimist Facebook page during voting! Make sure to check out the winners in each category. Stay tuned for special merchandise, which will feature the winning artwork! 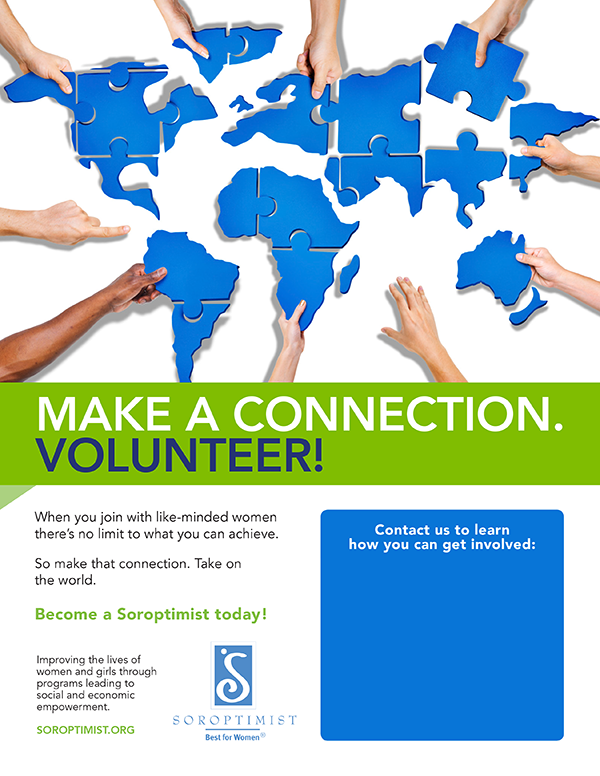 Read our 2014-2015 Soroptimist Annual Report! Check out the hard work, dedication and impact of clubs and members around the world in the digital issue available here. To purchase a printed copy, visit MagCloud and choose the “Buy Print” option. Read the summary to learn about significant actions taken by your SIA Board at its March meeting in Philadelphia. 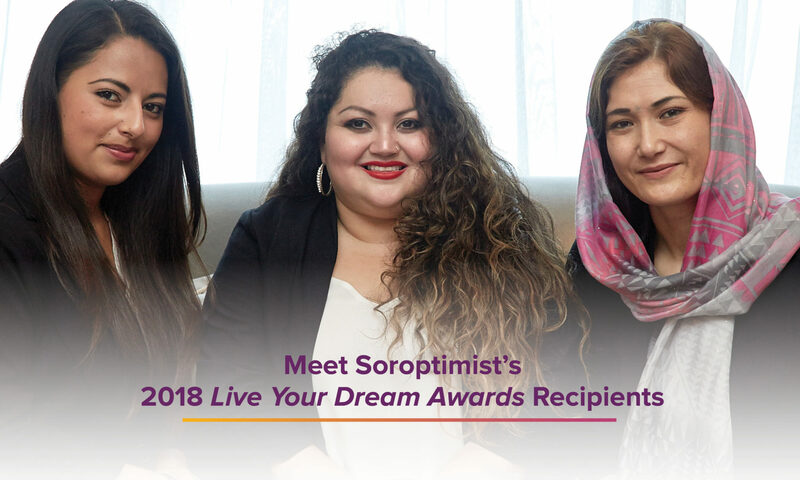 Your club has selected a Live Your Dream Award recipient; now it’s time to celebrate her! Read the How To: Honor Your Recipient for ways to recognize your club recipient for her hard work. Many Live Your Dream Award recipients say additional assistance would be helpful as they complete their education. Consider how your club can support recipients beyond the cash award! Excited about Dream It, Be It but not sure how to get started? Check out the simple step-by-step participation summary that walks you through 15 steps to starting a project. Want to learn how other clubs are going beyond the cash award to support their Live Your Dream Award recipients? Interested in hearing how other clubs are diving in to their Dream It, Be It projects? Attend a program workshop at convention to hear about members’ exciting and impactful experiences! Before the end of the club year conduct a health check-up of your club using the NEW club assessment tools. See what’s working and what’s not in order to keep the interest of current members and attract new ones. The club assessment tools include an Administrative Guide, Survey, and Survey Results Worksheet Template to help your club evaluate the membership experience. Use these tools to identify strengths, weaknesses, and establish priorities today! SIA has designed a brand new customizable ad your club can use to show the value of membership through connections with like-minded women around the world. Add your club’s local contact information. Then distribute the add in your community to spread the word! Has your club made a gift? So far this year, 760 clubs have made a Club Giving contribution in support of federation programs. Is your club on the list? If your club hasn’t made a 10% gift yet, click here to log in with your club ID number and make your gift today! The deadline for Club Giving recognition is May 31. All clubs that make a club contribution prior to May 31 will be honored at convention. We would love to recognize your club! Did you know there are ways to plan to make a future gift to help women and girls while also optimizing your own tax and financial benefits at the same time? By setting up a charitable gift annuity, you can make a gift to Soroptimist while also receiving fixed income for life. Or you can make a tax-free gift from your IRA if you are 70 ½ or older. Learn more about these and other creative gifts that will ensure the continuation of SIA’s life-changing programs. Your life experience is up to you to create, and you deserve nothing but the best! Influential writer, poet, and activist Dr. Maya Angelou shares just 3 simple words that can help guide you to your best life in this short video clip. SIA collected $63,155.28 USD for the President’s Appeal Educate to Lead: Nepal from December 1, 2015 through the end of February 29, 2016. The first round of donations was sent in December in the amount of $9,348.85 for September 1, 2015 to November 30, 2015. SI conveys their appreciation to the SIA clubs for supporting Educate to Lead: Nepal.